3 What About WordPress Hosting? 4 What Web Hosting Do You Recommend? WordPress is an awesome content management system for bloggers and web masters alike. It really changed the web design and development. People with very little web design skills now have an easy way to start a blog or a website. All they have to do is pick a theme or template, write some content and they are able to attract search engines. However, one of the most misunderstood things about WordPress is what web host should you choose? After all, almost every hosting company now says they are built for it. And, there are many options each one provides. If you are just starting your first blog and are not really sure about what host you should choose. There are a couple of things you should keep in mind. Many people get started and wished they would have thought of some things sooner. One thing to consider is if you will be making more than one blog or website in the future. For this reason alone, you want to choose a web hosting company who is flexible and able to easily grow with you as you grow. If you get started and then want to upgrade to another more powerful server, you want to be able to do that quickly and easily. And if you chose a good company to host your blog, it will be very easy for them to move your website to another server in house. Moving from one hosting company to another can be a real pain. Especially if you do not have all the technical skills needed to perform a site transfer. So, when you are calling sales for any company, always ask them how easy will it be to move to another server and upgrade your account. You also want the most powerful server you can afford at the time. There are a few types of web hosting you should be aware of. These types are shared, VPS, cloud and dedicated. Shared web hosting is fine if you are just starting out and just want to get a blog going. It’s cheap and can really help save on your costs. However, many hosting companies today are filling up their shared hosting accounts with many other websites. For this reason, shared hosting can be very slow and problematic. So if and when your website starts getting a good amount of traffic, you will want to consider upgrading. You are also very limited with shared hosting. You do not get full access to the server as an admin. VPS hosting is usually a great option for beginners and pros alike. VPS allows you much more control and flexibility on a server. The speed is also much better than on shared hosting. VPS stands for virtual private server. They do not pack as many people on a VPS as they do with shared hosting. Will will get a full server that is shared with other full server accounts. You will need to check with you host provider about how many servers they actually allow on a VPS. If it seems they are adding too many people then it may be time to move. A VPS server is usually much more powerful than shared also. You will also be able to pick how robust you want your hardware to be. If you have a site with a good amount of traffic then you will usually want to pick as robust a server as your budget allows. Dedicated hosting is usually top tier web hosting. The price all depends on what company you decide to go with. Some dedicated hosting can start usually around $100 a month and go up from there. With dedicated you have full control on the server and you are the only one who is on the server. Usually you will not need a dedicated server until your website starts making you enough money to afford the cost. Many hosting companies these day are offering hosting made only to host WordPress websites. Many times these servers come with plugins for wordpress and make it easy to install a new WordPress installation. Again, this all depends on what host provider you choose and some do offer more features than others. You will need to read over the sales material when choosing. 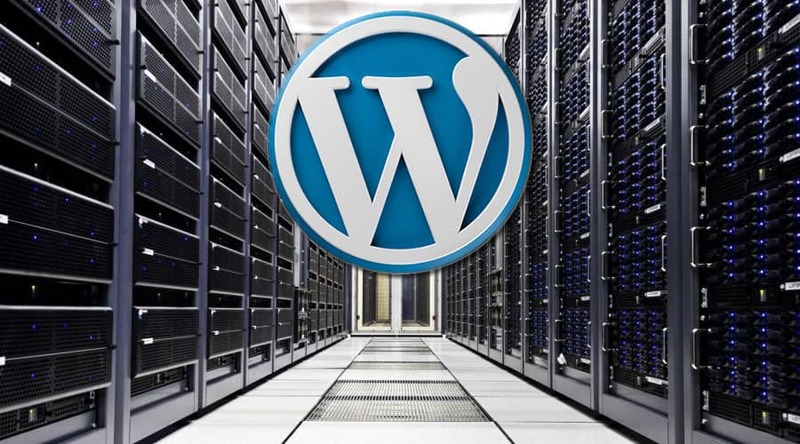 Dedicated WordPress hosting is usually not a bad option if all your sites and in WordPress. However, you may not have full control of the server. We have been doing internet marketing for a long time and have seen some good web hosts go from being very good to very bad almost overnight in some cases. The ones we recomend today are siteground and liquidweb. WordPress is great and when you start out for the first time you really don’t need a lot. But, you do need to be aware of your options if you are considering growing your online content business. Take your time and choose a web host that fits your needs and one that will allow you to grow. Make sure you ask sales questions before you go with any host. Taking the time to do your research can pay off later down the road, especially if you want to upgrade or move to another hosting provider. You don’t need all the bells and whistles when first starting out. Just make sure your host provides good support and your server is fast and powerful enough to handle your blogs needs.